Submitted by PetraR on March 26, 2015 – 11:39am. The bread is our fav. Wheat and Wholemeal loaf. 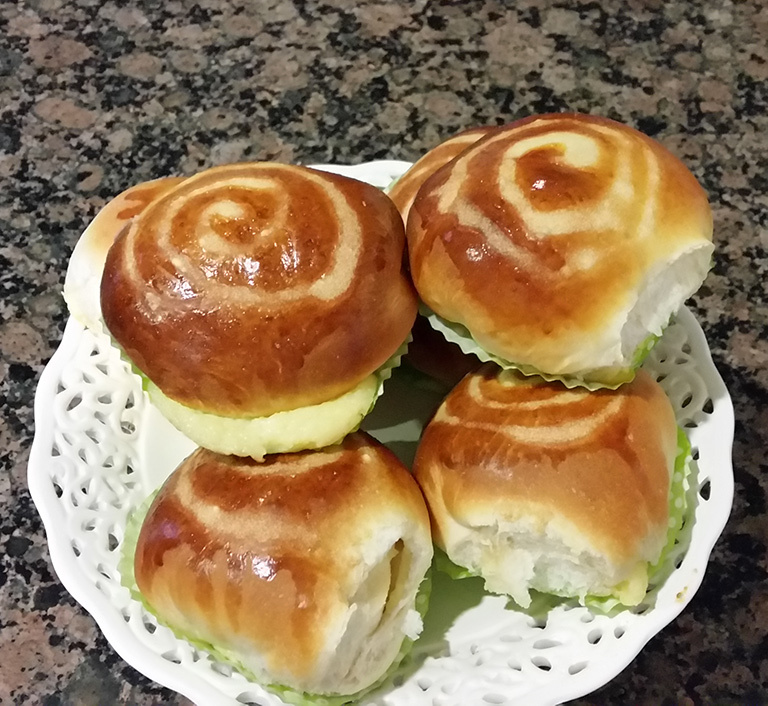 I also tried my hand on Tang Zhong custard buns , but I failed. They also turned out to be share an tear and my eggwash is not the best either.